Location: Turn right off Chin Chuck Road on to Kamaee Road (no longer accessible), directly above Chin Chuck Stable Camp for a distance of about a mile. About 1200 feet elevation. 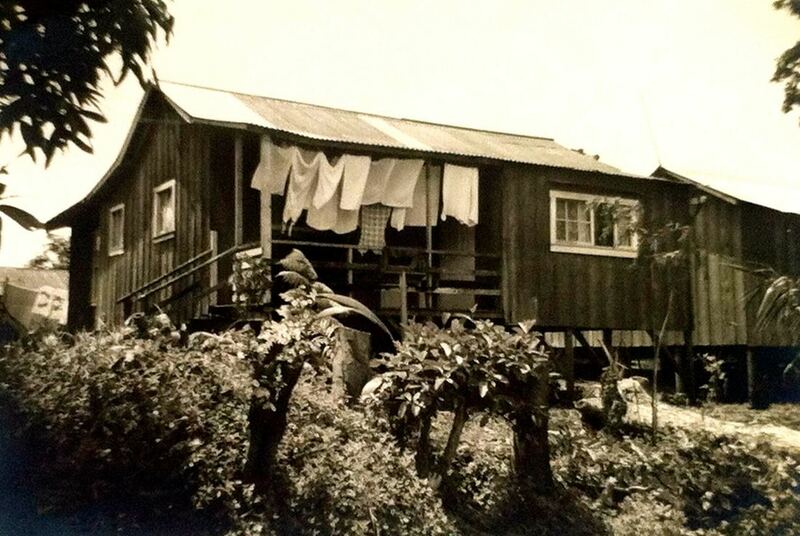 Camp size: About 5 plantation-owned dwellings and another 10 privately owned dwellings. 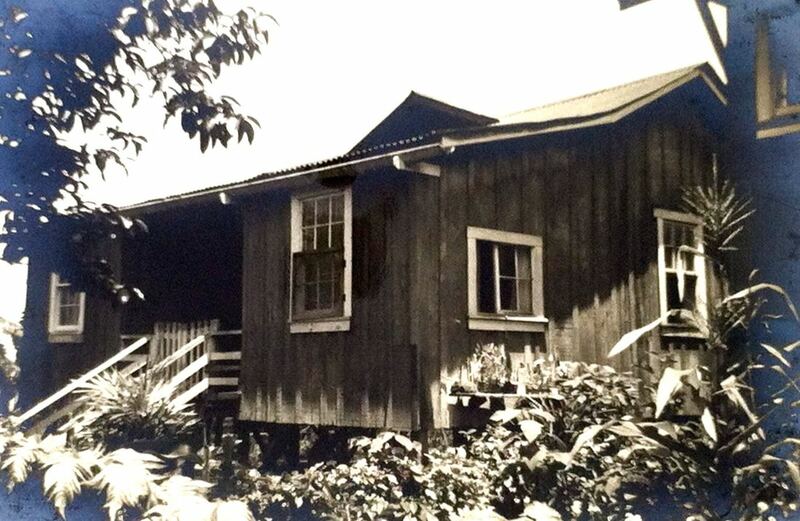 Mauka Camp also included a Scout camp that served all Hakalau kids, and a community clubhouse. 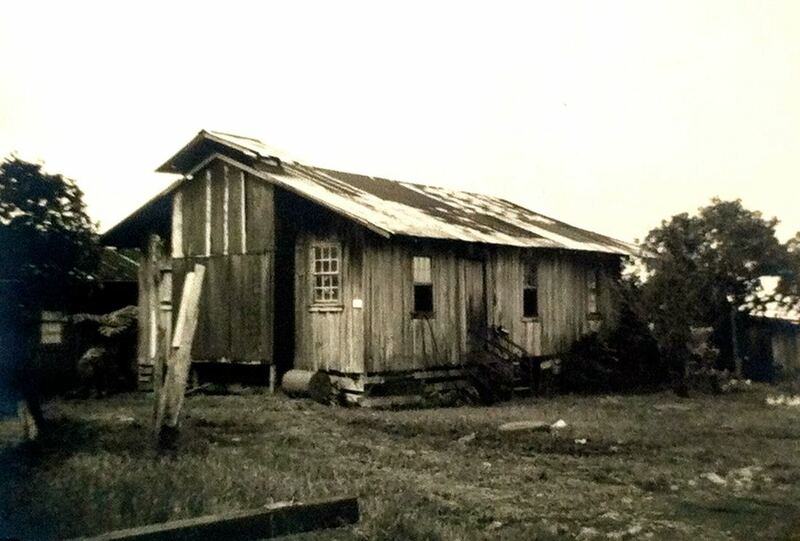 All of plantation-owned dwellings were vacant by the early 1960s. Location: In a makai direction from Kamaee Mauka Camp about 2 miles, it was at about 300 feet elevation and near Kamaee Sugimoto Camp. It could also be accessed from a road off Mamalahoa Hwy just past Hakalau Gulch going up the coast. Camp size: It included about 10 dwellings, all vacant by the early 1960s. Location: In a makai direction from Kamaee Mauka Camp about 2 miles, it was at about 300 feet elevation and near Kamaee Korean Camp. It could also be accessed from a road off Mamalahoa Hwy just past Hakalau Gulch going up the coast. 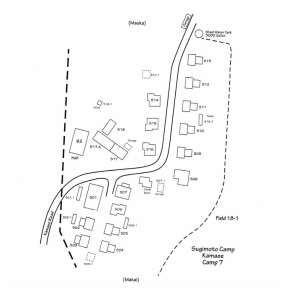 Camp size: It included about 20 dwellings, all vacant by the early 1960s. 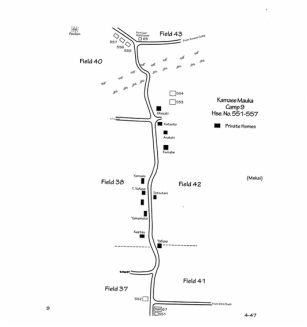 All 3 Kamaee Camps are included below. They were vacant by the early 1960s.